Being well informed is an essential component in the purchase of real estate. As the 2008 and 2015 RAFSG Realtor of The Year, voted 2016's and 2017's "Best of The Forgotten Coast" #1 Realtor and a mother of two involved in local school and civic activities, I can share my knowledge of the Forgotten Coast and all that it has to offer. From daily life, to the construction of your dream home, I can help every step of the way. If you are considering relocating and have questions about schools, jobs, or health care, or are in the market for a vacation property or a homesite for future construction, I would love to share my local knowledge and make the necessary introductions to make each of your endeavors run as smoothly as possible. Questions about vacation spots, sights to see, places to eat, shortest travel route, home builders, the best fishing guides or anything else that may interest you, please feel free to send me an email or call me any time at 850-227-5233. Hope to see you soon! 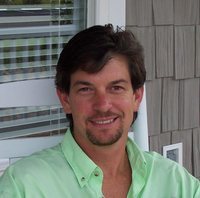 Ron combines his skills as a Realtor with his knowledge of the area, his building construction knowledge, and professional experience in the technology industry to become your one-stop resource when looking to buy or sell along the Forgotten Coast. Let Ron's technical skills, business knowledge, attention to detail, enthusiasm, and commitment to professional service make your dreams a reality. As a property owner and resident of Gulf County, Ron can use this first-hand knowledge of the area to help assist in planning your personal investment strategy. Many opportunities exist for investment purposes or fulfilling your ultimate goal of being able to call the last forgotten coast home. Everyone has their own unique story of how they first came to the area but all agree you will never want to leave. If you love to fish, walk on the beach, play in the sand, watch a breath-taking sunset, breath in the Gulf air or just close your eyes and listen to the waves roll in this is the place for you! Ask anyone why they call this area home and their response will be that it is the emphasis on family, quality of life and laid back lifestyle. 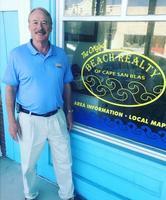 Bill Reid, beach home owner on Cape San Blas, and recent sales executive for Gund, traded a 20+ year corporate sales career with extensive travel throughout the US and life in a hectic Dallas, TX suburb, for the peace and tranquility of Gulf County. His experience with Gund includes working with national retailers creating marketing programs using plush toys as a way of increasing their sales volume. Bill was consistently ranked in the top 5% of all sales associates and was the # 1 sales associate in 2004, with sales over $9 million in soft toys. In 2009 Bill was ranked in the top 10 of all agents in Gulf County! His real estate sales has continued to grow and has a great deal of experience in short sales and foreclosures. 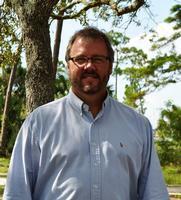 Bill has owned the Pineapple Plantation on Cape San Blas since September 2002. He is thoroughly versed in the trials and tribulations of owning a vacation rental home. Bill possesses an extensive knowledge of internet marketing, reservations, management, income expectations, and how to make a second home a reality. To that end, Bill has many local contacts to help make your investment property a profitable one. His enthusiasm, technical skills, professionalism and knowledge of the vacation rental business model will help you in making a second home a reality. Call Bill today at 850-227-8232 or email at Bill@flbeaches.net! 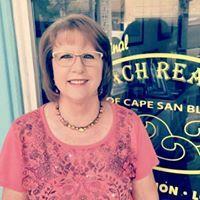 Brenda is a "local favorite" because she has lived in this area all of her adult life, and is involved in many local events. Her family has lived in the community for over 100 years. She can tell you how things used to be, but also keeps a keen eye on what's happening now, today and tomorrow. Her husband is a local charter boat Captain with "Charisma Charters" so she knows how the fishing is in our waters. She has a 17 year old son who plays baseball and soccer with the high school, and she is on the Student Advisory Council so she knows about our local schools. "Having had a real estate license since 1985, it has given me the opportunity to meet so many wonderful people. In return, I have helped them fulfill their dreams of owning property at the beach. I have also assisted those who were ready to move on to bigger and better dreams." If you are thinking of becoming a property owner along Florida's Forgotten Coast, investing in a business, or moving out of the area, Brenda can assist you with every detail from start to finish. "Think of me as your new next door neighbor who would like nothing more than to find you a place to live, help you move in, bring you freshly baked cookies and say Hello and Welcome to Paradise." You can contact Brenda at 850-227-5380(cell) or by e-mail at Brenda@FLbeaches.net. She's waiting to hear from you. from Wewahitchka to Port St Joe and from Mexico Beach to Indian Pass. entire MLS for a complete listing of properties for sale. searching the internet, it is important for you to balance your research with a human perspective. I moved to the "Forgotten Coast" with my husband 19 years ago with a 11/2 year old and 5 months pregnant with my second child. I have had many experiences here in this small town of Port St Joe. As a mom, I can say that the freedom to allow your kids to explore and not worry about them was priceless. When my children both started school, I worked as an appraiser for a while and then taught at the local Christian school. My real estate career began when my children went off to college. I have had the privilege of renting multiple properties to military families. In doing so, I have learned how stressful it is for military families who are relocating. For that reason, I have educated myself on how I can serve military families in this difficult time of transition. I would not trade pulling my kids in the red wagon to the beach, building bonfires, watching 4th of July fireworks, catching crabs, riding horses, sailing or just being together with family and friends. Whether you are buying a vacation rental home, investment property, or a military family relocating, my goal as a realtor is to help you achieve your goals and make the transition as smooth as possible. I am proud to serve Cape San Blas, Port St Joe, Mexico Beach, Panama City, and the surrounding communities. Broker Associate Jamie Streetman is a fourth generation native of this area with homes in Jackson and northern Gulf counties. 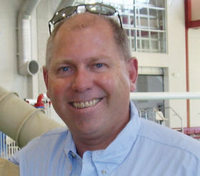 Jamie started his Real Estate career in 2004 and earned his broker’s license in 2005. Jamie is an excellent source for information on fishing, boating, wildlife and relaxing around the Forgotten Coast, Dead Lakes, Intercoastal waterway and lower Apalachicola river. Jamie is a full time Broker Associate and is ready to assist you from getting to know the area, all the way to closing your dream or investment property….and beyond. 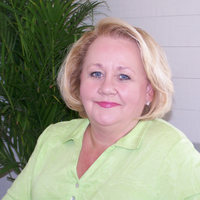 If you are looking to sell your Gulf, Calhoun, or Jackson county property, Jamie is the person to contact. Let his extensive local knowledge work for you! Feel free to give me a call at 850-718-7736 or email me at Jamie@FLbeaches.net.